Odds are, even if you've never heard the term you've experienced it in some way. Scope creep is when the agreed-upon deliverables for a project (the scope of work) are exceeded by the actual amount of work put into the project, without a commensurate increase in pay. It's not usually due to an insidious plan to squeeze every bit of usefulness out of the service provider, but rather the result of poor planning, inadequately defined parameters for the project, and/or an unrealistic expectation of how long the tasks within a project are going to take. In short, the extra minutes become hours, and the project suddenly becomes a bigger beast than expected as the clock continues ticking. The additional work just creeps up on you. And you're not even going to get paid for all this extra time and effort! Unbilled lost hours aside, scope creep can be incredibly frustrating for everyone involved: if the deadline for the project is fixed, then planned deliverables may not reach their potential or fall entirely by the wayside as limited time is used on unplanned tasks. The party who contracted the work is left unsatisfied, while the party performing the work feels like the results haven't lived up to their own expectations, in spite of extra time and effort being spent on the project. That's a confidence killer and a sure path to burnout, not to mention a good way to throttle repeat business and future referrals. 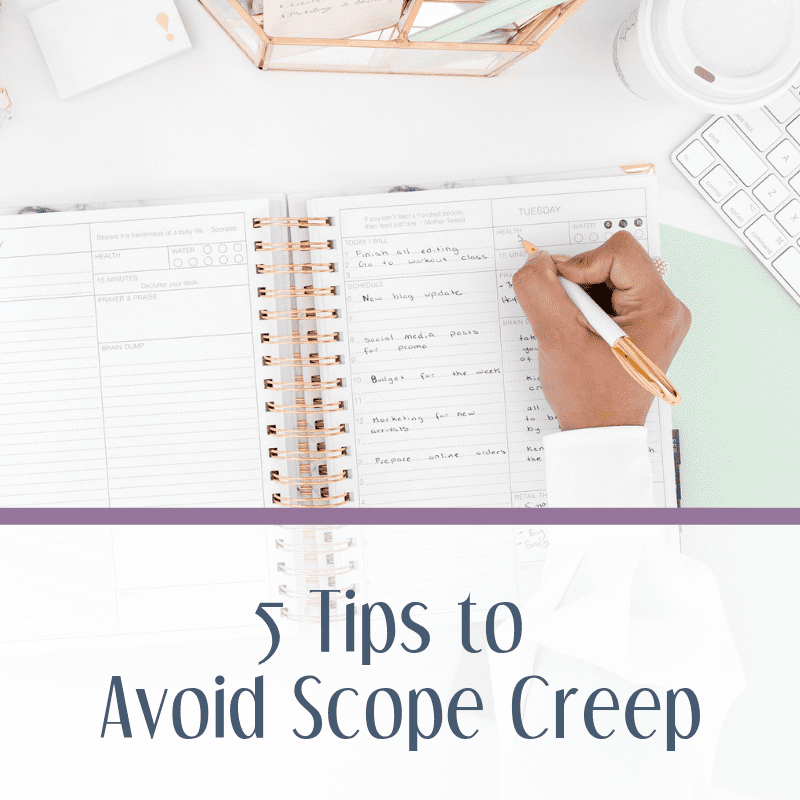 The best way to combat scope creep is to stop it before it starts. Here are five tips to keep in mind, for every project you take on. Have a thorough discovery or onboarding call to ensure that you understand your client's needs. 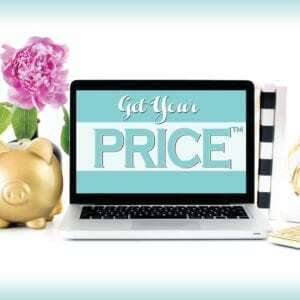 We recommend doing this prior to providing pricing so you can price accordingly. 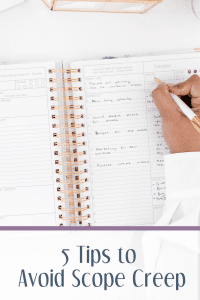 It's common to underestimate how much time a project is going to take, whether because you're being overly optimistic or because you're attempting to make your proposal more attractive. Be realistic now, bill accordingly, and everyone will be happier later. It may feel a little like overkill to dig into the nitty-gritty of a project in a contract, but outlining the parameters and deliverables in detail means that both parties know what to expect, and when. 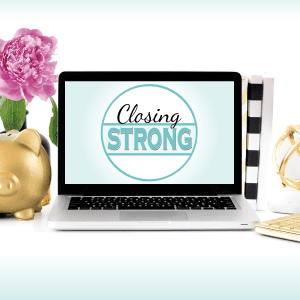 Keeping things open-ended may feel like freedom in the beginning, but can mean having to do the work twice (or more) as the client refines what it is they really want. Save the surprises for birthday parties and gender reveals. If you need a contract, we offer some great options for service providers. This is especially crucial if you're juggling multiple projects or clients. Use project management software to break large projects down into discrete tasks with deadlines, to ensure you stay on track and that contract deliverables stay clearly defined and on schedule. In the event that a client is pushing you to scope creep, don't be afraid to respond with a simple message that says: I would love to work on this aspect of your business. It's outside of the scope of our existing deliverables, but I am happy to provide you with an estimate. Then, let them know the cost or when they will receive an estimate. This effort now will prevent any unpleasant surprises down the road. Keep in mind that a project that goes from point A to B all the way to Z without any hiccups is relatively rare. Some degree of change is to be expected, and that's not necessarily a bad thing! Just make sure those extra hours = extra pay. The ability to stay flexible is appreciated by all parties. Adapt, but know that your time is valuable, and you only have so much of it in a day. Get all of our latest tips and tricks delivered to your inbox FREE.